My favorite. 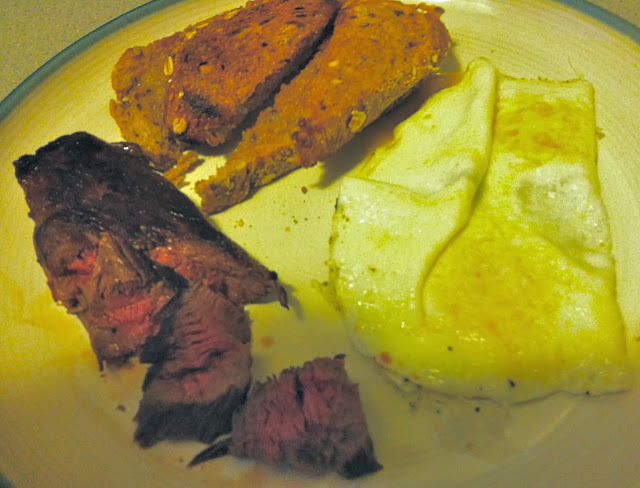 Pan fried venison tenderloins, whole grain wheat toast and two eggs over easy, PRICELESS! I am happy to have taken this nice little buck on "Opening Day" here in NY. This year I only had a buck tag and I will not be able to hunt the rest of the deer season due to knee surgery. Tie some up in the Mayfly colors you need to match the hatch. This is my version of this nymph. I've seen many nymphs featuring some kind of foam used as a shellback. But mine differs slightly, because it also uses the foam to form the head and the eyes of the nymph providing a little bit more floatation especially in the bigger fly sizes. Materials list: Bubble wrap for electronics: This is the thin, tightly packed, small bubble wrap in Tan/Gray/Dun really nice stuff... cut a piece a little wider than the hook gap. About four years ago my fellow guide and fly tier Walter Wiese came across some "wood grain" 2mm tan and brown foam. Wally tied some killer hopper patterns with this stuff and he gave me a sheet or two of it. I have tied a bunch of my Wrapped Foam Hoppers with it but saved and guarded them for my own fishing. That stuff is long gone! Since then both Wally and I have kept our eyes open for "unique" fly tying foam. Well the other day my wife had to stop in AC Moore and buy a few things so I went in with her just to check on the craft foam - Yeah baby, jack pot; Leopard Yellow, Tiger Orange and Zebra Pink.... I see Golden Stones, Salmon Flies and Pink Hoppers jumping out of these sheets of foam already. Don't worry Wally, I got a couple of sheets of each for you. I cleaned them out, buying all they had... I'll stop by today to see if they have any more...... as you might have guessed Wally and I tie a ton of flies! I just recently bought a new set of Jvice Pro-jaws with the Salmon Head and Goose Neck the other day. The new head design and tension adjustment is machined from white Ertalyte. It's more stream line than the original head and it looks good too... But the proofs in the pudding, right? So the last few days I've been just playing around tying some flies and enjoying this new vise and the pro-jaws. Here's a few of the flies I tied today, just for fun! If you care about the future of fishing in Yellowstone National Park you don't want to miss this fine article by Neil M. Travis on the Fly Anglers On Line website and forum. I believe the NPS efforts to "remove" all non-native fish in the park is just the first step. Once well underway they will move to eventually "eliminate" the "harassing" of fish (wildlife) in the park by anglers. The top of the arch is inscribed with a quote from the Organic Act of 1872, the legislation which created Yellowstone, which reads "For the Benefit and Enjoyment of the People." My friend Dave had lots of luck on Soda Butte Creek in YNP using an unknown blue mylar backed nymph. It looked similar to my Wire Head Stone fly nymphs, so I just added the Mylar backing and a rib to that pattern. I think it looks great and the nice thing is you can make them any color Sharpie you've got! Yellow and Amber make nice Yellow Sally's and Golden Stonefly nymphs others include; olive, tan, black, purple, etc. Bead: gold 3.0 mm or Wire Head. Shellback and wing case: Uni-Mylar 3/64" in Pearl and colored with blue Sharpie marker on both sides of the Mylar. After tying I brush super glue on the shellback and wing case to bring out the color even more. This is a simple scud pattern that I developed back when I first stared tying. I used wire wraps to form the heads of flies instead of beads. At the time, I didn't have any beads and it was too expensive to have a wide assortment of different size beads. So, I just used heavy wire on my larger flies and medium wire on the smaller ones. Being able to vary the size of the wire and the number of wraps used to form the head gave me infinite adjustment on head size as-well-as the weight of my flies. I still tie my scuds this way today in; pink, orange, gray and olive as well. Start thread behind eye and build a thread base one eye long. Tie in wire and return thread wraps to starting point. Add a drop of head cement. Wrap wire four turns forward.